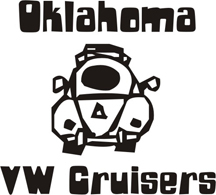 Oklahoma Vw Cruisers • P&P heads???? Is there any good machine shops here in Okla. that can Port and polish heads? I have some stock 1600 heads im wanting get done. Usually its cheaper to buy new already done. yah! thats what i was thinking! who makes a good head? I've seen alot of different kinds, but dont know nothing about them. All I've been told is if you port them, they will make more power for the motor. The December 2010 issue of Hot VWs compares 18 after market heads. It's a starting point. To get 'proper' P&P heads they need to be flow benched, to ensure that each are the same, and that the mods made are actually helpful, and not causing excessive turbulence. It looks like steve tims heads and low bugget are pretty reasonable. I can get stock and oversized valved heads cheap but are not P&P. I'll look into those! and how cheap you talkin??? Rodger at bethany imports is building a 1915cc for me! around 200ea depending on what casting and valve size.